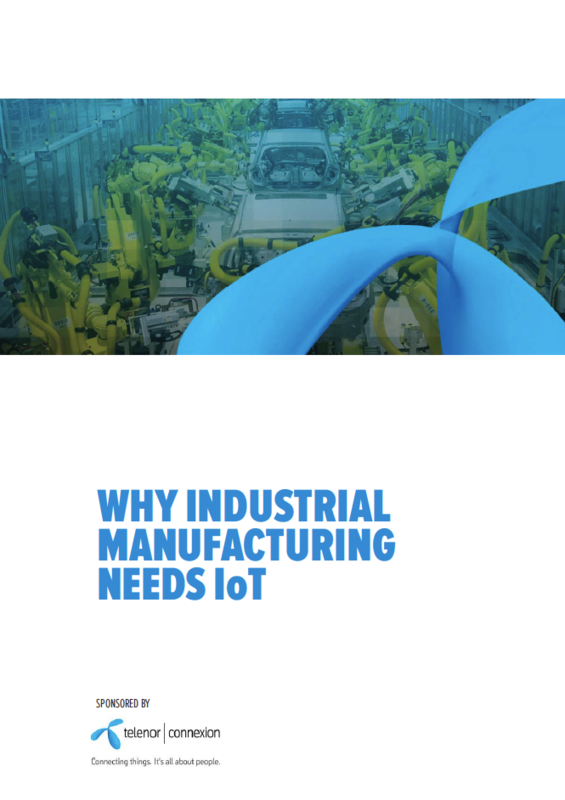 IoT for Industrial Manufacturing, sometimes called the Industrial IoT (IIoT), offers manufacturers the opportunity to radically redefine their operations and even their entire businesses. The capabilities of IoT enable manufacturers to gain greater visibility and insights into their operations through the efficient utilisation of data and the tighter integration of disparate systems. This opens up the possibility for manufacturers of moving away from simply selling products to becoming a provider of services and strengthening the relationship they have with the end users of their products. Therefore there are two main aspects for industrial manufacturers to consider carefully when adopting IoT. The first, more straightforward, consideration is how IoT can benefit the business by improving processes, enhancing production efficiency and quality and by helping to introduce greater flexibility into the business. This is essentially an internally-focused efficiency programme and therefore projects can be initiated with clear success metrics in mind. This is a substantial opportunity for manufacturers to power operational optimisation projects with real-time data enabled by IoT and this is relatively straightforward to achieve by deploying sensors across the manufacturing environment and analysing the data gathered to achieve actionable insights. Lean production, new services and consumer loyalty – explore the future of IoT and industrial manufacturing. The rewards for successful projects are substantial. Consultancy firm Accenture has projected that, by 2030, the optimised production processes that IoT introduces could add US$14.2 trillion to the global economy. Yet this area of opportunity represents only a part of the advantages IoT can create for industrial manufacturers. The second area for consideration is harder to track and more challenging to implement because it involves large-scale business transformation. It goes to the heart of how an industrial manufacturer sees itself and the extent to which digital transformation will be central to its strategy and therefore requires that more care is taken and greater caution is exercised. Does the company still want to be only a product manufacturer or does it want to bring new services and functionalities to market that open new revenue streams and improve customers’ experiences? For example, a company that manufactures heavy equipment may no longer sell an excavator to a mining company through a distributor. They may instead sell packages of one thousand operating hours to the customer organisation, selling the excavator’s hole-digging capability as a service, not the excavator itself. This could involve a range of bundled services such as user analytics, data on consumables, data on excavator performance and many other metrics. Opportunities to upsell and cross-sell other services could proliferate, providing the business with an opportunity to form a stronger relationship with the end customer and also to manage that effectively thanks to the data it collects about how the excavator is being used and how it is performing in the field. This model could provide a mining company with maximised excavator efficiency because it is not paying for excavators that are standing idle, while at the same time, the excavator manufacturer is gaining insights into how its products are used, when service and maintenance is needed and what design upgrades are required so it can support customers’ needs better. BI Intelligence estimates that global manufacturers will invest US$70 billion in IoT solutions in 2020 – up from $29 billion in 2015. 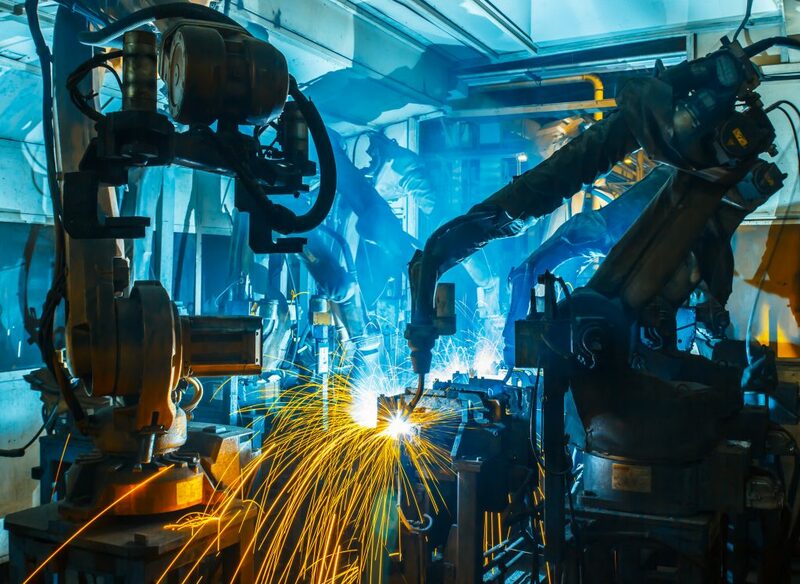 The firm identifies four top challenges for industrial manufacturers as they upgrade to IoT: threat of cyberattack, difficult determining ROI, technical integration, employee reluctance to implement automation. Consulting firm PwC, projects US$6 trillion will be spent on IoT solutions between 2015 and 2020. Research from Gartner reports that spending on new IoT hardware exceeded $2.5 million a minute in 2016 – and that, by 2021, one million IoT devices will be purchased and installed every single hour. Why does industrial manufacturing need IoT? Industrial manufacturing organisations have been challenged for many years in terms of how to operate more efficiently. Under attack from competitors with manufacturing capabilities in markets where labour costs are lower, organisations have been faced with the challenge of relocating or making substantial efficiency gains in their existing factories. Generating savings in businesses that typically rely on a network of distributors to sell and maintain their products across the world and consequently have a disconnected relationship with their end users means opportunities to access new forms of revenue beyond the initial sale of a product are limited. A race to the bottom on price is of no attraction to shareholders because it offers no prospect of revenue growth as products become commoditised. Therefore industrial manufacturing organisations must radically overhaul their cost bases and their strategies. IoT can help in both of these goals because of the capability it offers to collect and transmit data from across the manufacturing process. Sensors from the factory floor to the end product can feed vast volumes of data into a central point enabling manufacturing performance data to be analysed and data from the product in deployment to be turned into actionable insights in near real-time. This means that IoT can offer more than traditional process efficiency improvements on the factory floor. These are important but insights provided by IoT deployments also enable more in-depth efficiency to be achieved by addressing personnel optimisation, environmental and fuel efficiency and increased automation. At Siemens’ electronics manufacturing plant in Amberg, Germany, for example, machines and computers handle 75% of the value chain autonomously, with approximately 1,000 automation controllers in operation from one end of the production line to the other. Parts being produced communicate with machines by means of a product code, which tells the machines their production requirements and which steps need to be taken next. All processes are optimised for IT control, resulting in a minimal failure rate. Employees are essentially supervising production and technology assets, including handling unexpected incidents. The efficiencies offered by IoT deployments are helping industrial manufacturing organisations in their wider business transformations. The more accurate, highly detailed performance insights IoT is providing give organisations a clearer picture of the strengths and weaknesses of their businesses and enable the identification of areas for improvement. At the same time organisations are embarking upon substantial digital transformations to prepare their business for the digital, highly automated economy being ushered in by Industry 4.0 and smart manufacturing. These transformations are at an early stage but manufacturer commitment to digital transformation is strong, reports research firm, Aberdeen Group. 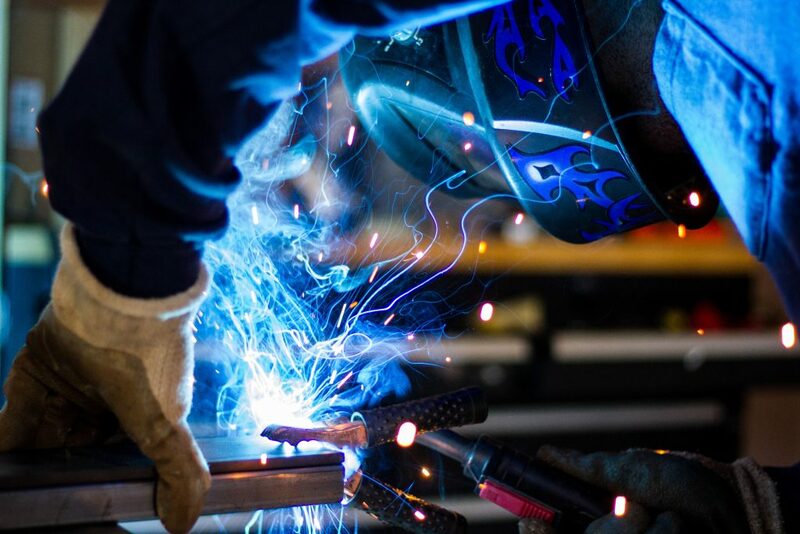 Analysis by the firm of recent research has found that 35% of manufacturers plan to achieve digital transformation, with more than 91% of survey respondents seeing manufacturing benefits in deploying IoT. For industrial manufacturing companies, the next generation of IoT technology will take them far beyond real-time monitoring of machines on the factory floor. The next generation will involve connected information platforms that use data and advanced analytics to create higher-quality, more durable and reliable products. An example of this is with wind turbines manufactured by General Electric. PwC analysis reports that this equipment contains 20,000 sensors that produce 400 data points per second. Immediate, ongoing analysis of this data allows GE and its customers to optimise turbine performance and proactively make decisions about maintenance and parts replacement. Download our whitepaper and continue reading!